This tutorial will answer the question of how can you get the Schema Description and Title to pull in the Meta Description and Title from Yoast SEO plugin. 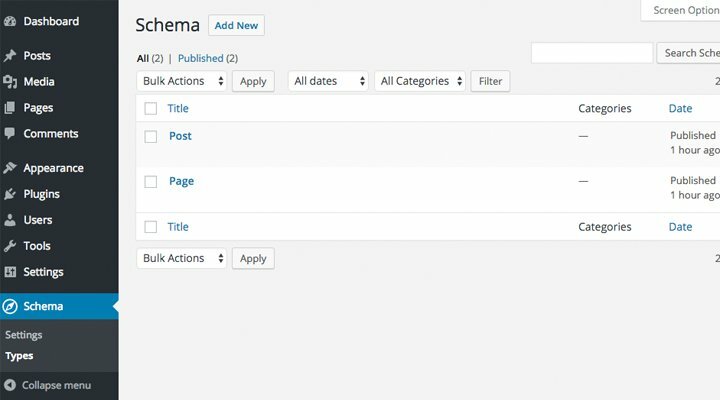 Schema plugin output the Title and Description from post title and trimmed portion of the content. So these aren’t a unique values. In many cases; it would make a lot of sense -recommended- to actually have a unique Title and Description for your content whenever is applicable. Here is an explanation on how to achieve that, but before we start we need to know where deso Yoast SEO saves the Title and description to be able to pull this data and introduce it to Schema plugin. Yoast SEO mostly saves post related data in post meta. So, we need to know the unique post meta key where the Title and Description has been saved. Now, that we know where is the Title and Description values are saved, we can pull the values and use them in Schema output. One very powerful feature of Schema is the built-in Post Meta Generator, which can be used to complete the missing properties of main entities, and also generates the post meta fields automatically for you. Go to Schema > Types > and choose the type you would like to configure. While you are on the Types editor page, you will see a checkbox to enable Post Meta Generator, checking that checkbox will show new settings, it’s where you can setup the Generator. As you can see above, the Post Meta Generator is enabled, and new settings popped up, now you are ready to use post meta Keys from Yoast SEO to tell Schema that you want to use them in schema.org output. 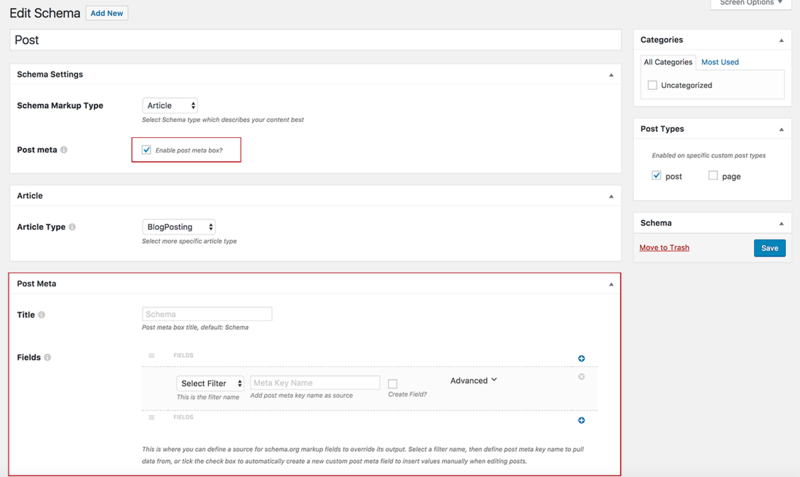 The Post Meta Generator has repeated fields functionality, this allow you to create unlimited post meta fields to pull any saved data to use in Schema. Save the type, and you are all set. Now, Schema will pull Title and Description from Yoast SEO. This is the preferred method since it allow you to override the markup of the About and Contact pages as well as the main schema.org output for singular pages. This code mostly goes in Theme’s functions.php file.